Nonviolent communication (NVC) is an approach to create empathetic and honest connection amongst people using communicative techniques. NVC was first developed by Rosenberg (2003) in the 1960s. The principles of NVC are based on humanistic concepts from theorists such as Rogers, Maslow, and Fromm. NVC theory proposes that conflicts result from habitual communicative patterns whereby violent language based on emotions such as fear, guilt and anger, are used to try and meet one’s need. Universal feelings and needs are a major key point of this theory. NVC recommends the use of a four step process to help bring clarity and awareness into communication. These steps are based on observations, feelings, needs, and requests. The first step involves differentiating between observations and evaluations, so specific behaviours and actions can be identified free of judgement. The second step is to become aware of what feelings are present. The third step is to find the underlying need behind the feeling.  The last step involves requesting a concrete action that can help to meet that need. Rosenberg and Eisler (2003) argue that applying NVC principles into one’s life can help us to see what is alive in ourselves, as well as in others. 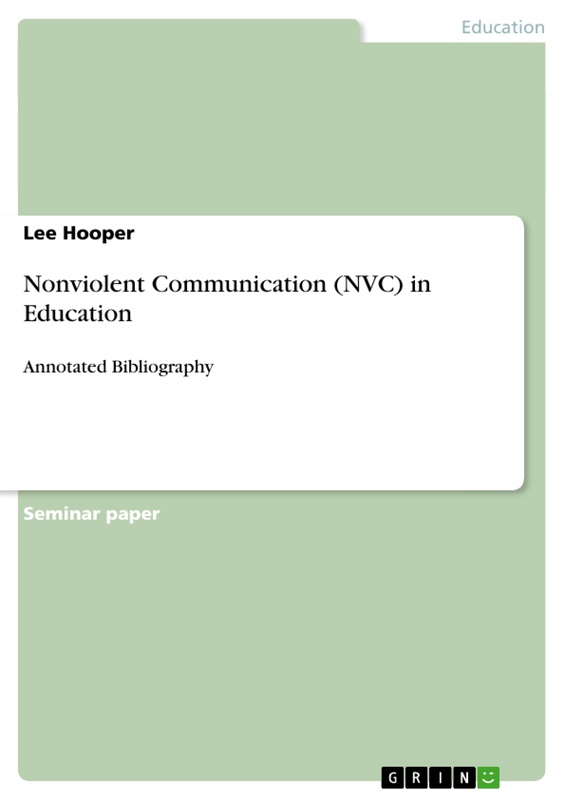 This annotated bibliography will explore the influence that NVC has on education, particularly on the relationships between students and teachers. The significance of NVC in education is that it can provide a simple, yet effective way of developing connection between students and teachers at an increased rate (Hart & Kindle-Hodson, 2003). Furthermore, teachers are able to ‘see’ the needs behind the actions of the students, which can help them understand specific behaviours and act in accordance. Overall, there is a dearth of relevant literature to examine and support NVC ideology. However, the research that is out there is supportive of its efficiency and effectiveness. 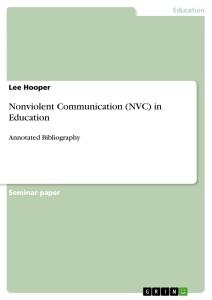 It is hoped that this paper will draw together some of the major works of NVC in relation to education and provide a systematic analysis on the relevant literature. 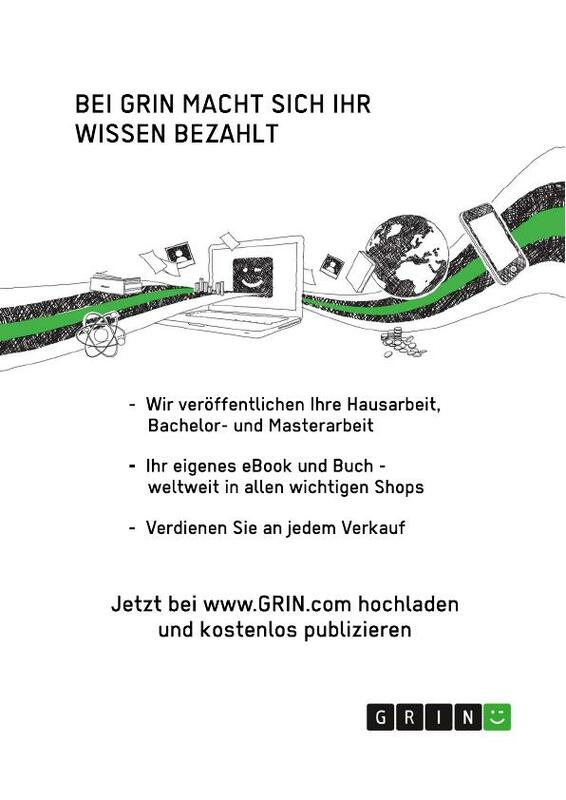 Criteria for inclusion into this annotated bibliography surrounded material published within the last 12 years and a topic that either directly investigated NVC theory or NVC practice. The one exclusion is Cooper’s (2009) article, which was included because of the lack of NVC studies in schools, and the articles relevance to NVC theory. Search engines used included Massey’s Discover, with the key words, “("nonviolent communication" OR "non violent communication") AND (education* OR school*)”, alongside the Centre for nonviolent communication’s (cnvc.org) research section of their webpage. Cooper’s article on the effectiveness and efficiency of humanistic counselling in U.K secondary schools provides both a comprehensive and critical analysis on the outcomes of this theoretical approach. A meta review was conducted on a total of 30 studies involving approximately 10,000 clients. The author was able to identify quantitative statistics on who attended counselling sessions and their reasons for doing so, alongside qualitative data, such as client and teacher perspectives on the overall effectiveness of humanistic counselling within the schools. Cooper found that humanistic school counselling was of benefit to around 80% of those who attended, a statistic similar to cognitive behavioural therapy in U.S schools (Prout & Prout, 1998). As Hanley, Sefi and Lennie (2011) note, whilst Cooper’s review outlined many of the positive aspects of counselling youth within schools, there were some limitations. These include not having control groups so that intervention vs. non-intervention outcomes could be compared, and not accounting for the fact that many of the students who completed the questionnaires mostly did so at their final session. This meant that those who were disappointed and dropped out mid-way through, may have not recorded their negative outcomes. Because of the lack of empirical data to support using an NVC approach in an educational context and the large influence of humanistic thought on NVC ideology, Cooper’s study is significant as it helps to provide a foundational basis for using humanistic approaches, such as NVC, within educational environments. Integrated Education in Northern Ireland: A chance for peace?